Joshua Harrison is a military veteran and student at USC Aiken. The Interviewer is also a student at USC Aiken. This interview was done for an Honors class. The purpose of the interview was to see how student-veterans assimilate to college life after being in the military. 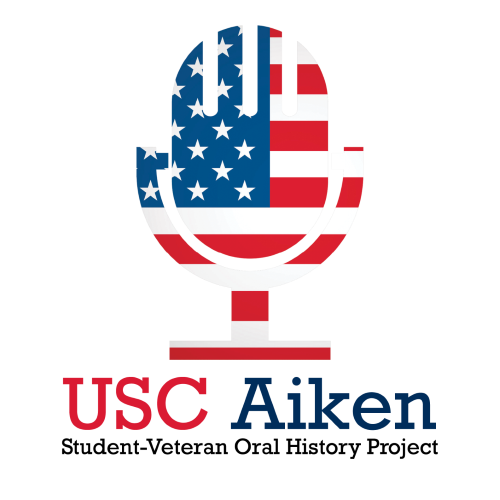 The interview begins with Joshua Harrison’s childhood in Grovetown and North Augusta, to his enlistment in the Army National Guard when he was 19, his years of service and deployment to Afghanistan with the Guard, and his time at college at USC Aiken. Educational and research use only, no other permissions given. Copyright to this resource is held by the content creator, author, artist or other entity, and is provided here for educational and research purposes only. It may not be reproduced or distributed in any format without written permission of the copyright owner.